Manufacturer & Supplier of Single Phase Voltage Stabilizer. Our product range also comprises of Control Panels, Electrical Control Panels and VFD Control Panel. Being a leader in the market, we are engaged in providing our clients a qualitative range of Single Phase Voltage Stabilizer. 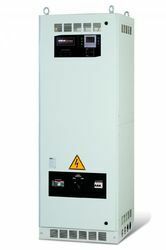 Our voltage stabilizers are comes with voltmeter with selector switch, which helps to see input & output voltages. The offered voltage stabilizers are used to protect the electric appliances such as AC, TV and Refrigerators from fluctuations. Also, our valuable clients can avail these voltage stabilizers from us at competitive rates within a confine time.